The sequence of events can be reconstructed from both Iranian sources and declassified U.S. intelligence documents: Between 10:30 and 11:15 p.m. on September 18, several calls were received by the Control Tower at Mehrabad Airport, reporting an unknown object hovering 1,000 feet (300 m.) above the ground in the northern section of Tehran. The night shift supervisor, Hossain Perouzi, initially didn’t pay too much attention. The radar system was turned off since it was under repair. After he received the fourth telephone call at 11:15 p.m., Perouzi went to the terrace next to the tower and observed the UFO with binoculars: “Suddenly I saw it. It was rectangular in shape, probably seven to eight meters [24 to 27 ft.] long and about two meters [7 ft.] wide. From later observations I made, I would say it was probably cylindrical. The two ends were pulsating with a whitish blue color. Around the mid-section of the cylinder there was this small red light that kept going around in a circle… I was amazed. I didn’t know what to think. There definitely was a very strange object there in the sky right over Tehran.” At 12:30 a.m. on September 19, Perouzi called the Air Force Command post to report the UFO. The Base Commander, in turn, called General Yousefi, who authorized the scramble of an F-4 Phantom jet from Shahrokhi AFB to investigate. The first scramble is summarized in a “Memorandum for Record” from the U.S. Defense Attaché Office (DAO) in Tehran: “The F-4 took off at 01:30 a.m. and proceeded to a point about 40 nm [45 statute miles or 75 km.] North of Tehran. Due to its brilliance the object was easily visible from 70 miles [110 km.] away. As the F-4 approached a range of 25 nm [29 statute miles or 46 km. ], he lost all instrumentation and communications (UHF and Intercom). He broke off the intercept and headed back to Shahrokhi. When the F-4 turned away from the object and apparently was no longer a threat to it, the aircraft regained all instrumentation and communications.” At 01:40 a.m., Gen. Yousefi authorized a second F-4 scramble piloted by Lt. Jafari, who quickly established radar contact with the UFO. The DAO Memorandum describes the events of the second scramble: “The size of the radar return was comparable to that of a [Boeing] 707 tanker. The visual size of the object was difficult to discern because of its intense brilliance. The light that it gave off was that of flashing strobe lights arranged in a rectangular pattern of alternating blue, green, red and orange, in color. The sequence of the lights was so fast that all the colors could be seen at once.” “The object and the pursuing F-4 continued a course to the south of Tehran when another brightly lighted object, estimated to be .5 to .33 the apparent size of the moon, came out of the original object. The second object headed straight toward the F-4 at a very fast rate. 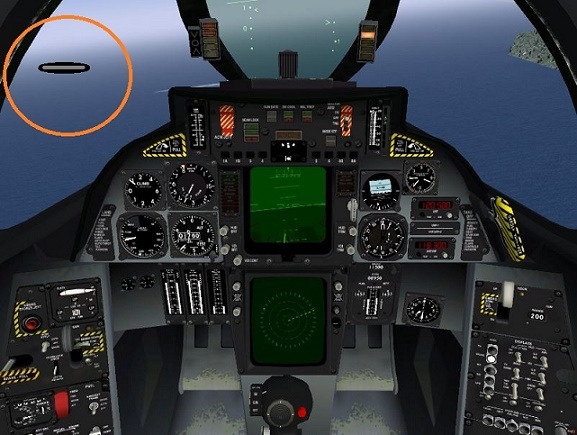 The pilot attempted to fire an AIM-9 missile at the object, but at that instant his weapons control panel went off and he lost all communications (UHF and Interphone). At this point, the pilot initiated a turn and negative G dive to get away.” The aircraft electric system went back to normal once the F-4 reached a certain distance from the UFO. The small object returned to the primary object, but a second one emerged and flew toward the ground. Gen. Yousefi observed the landing from the balcony of his Tehran residence: “He went down and landed on the ground and now it is a communication between the mothership and that small flying object, and it shows the lights between those two is connected.” More strange events were still reported that night. A UFO seemed to follow the F-4 as it approached the runway, and a civil airliner experienced communications failure but did not see anything. The DAO Memorandum describes the investigation early that morning: “During daylight, the F-4 crew was taken out to the area in a helicopter where the object apparently had landed. 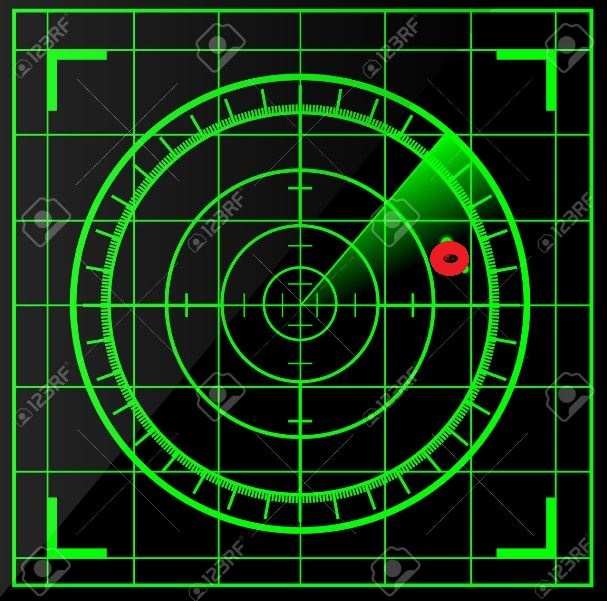 Nothing was noticed at the spot where they thought the object landed (a dry lake bed), but as they circled off to the West of the area they picked up a very noticeable beeper signal. At that point, where the return was the loudest was a small house with a garden. They landed and asked the people within if they had noticed anything strange last night. The people talked about a loud noise and a very bright light like lightning.” NOTE: The above image is a rendering. This entry was posted in ABDUCTION, best ufo photos, incredible ufo photos, MISSING TIME, top ufo news, UFO, UFO ARTICLES, ufo news, ufo photos and tagged 1976 ufo, 9-18-76 UFO IRAN, air force ufo, ALIEN CRAFT, animal abduction, army ufo, best web site world ufo photos, boomerang craft, chief investigator, chief investigator ken Pfeifer, civilian panic, commercial pilot ufo, crashed disc, cylindrical craft, DISC, discoveries on mars, discoveries on moon, F-4 CHASES UFO IRAN, FLYING SAUCER, government black ops, I.S.S. UFO, international space station and ufo alien craft, KEN PFEIFER, ken Pfeifer discoveries, ken Pfeifer rhode island, ken Pfeifer Vermont, largest ufo photo website, LIGHT, LIGHTS, marine ufo, MARS, mars discoveries, mars photos, MEN IN BLACK, MOON, moon discoveries, moon photos, MUFON, national press club ufo, navy ufo, ORB, ORBS, pfeifer, radio ken Pfeifer, Saturn discoveries, saucer, secret society, SEPTEMBER 18, STRANGE, sun photos, swamp gas, TEHRAN IRAN UFO, TRIANGLE, ufo, ufo crash, ufo images, ufo photos, ufo pictures, unidentified submerged object, unidentified submerged objects, uso, WORLD UFO PHOTOS, world ufo photos and news by KEN PFEIFER. Bookmark the permalink. I simply want to mention I am just beginner to blogging and site-building and honestly liked this web page. Likely I’m planning to bookmark your blog . You amazingly have outstanding well written articles. Thanks a bunch for sharing with us your blog site.